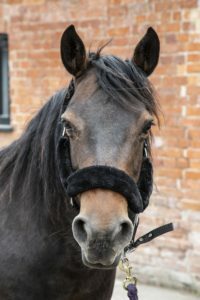 With 30 years experience as a BHS approved riding centre, Alstone Court offers a wide range of riding lessons from its equestrian centre in Somerset. So what will you get from Alstone Court during your riding lesson? You will receive a warm and friendly welcome and learn to ride in a safe and positive environment. We offer group and individual lessons within our indoor and outdoor arenas. Riding has a host of benefits for everyone. These include stimulating mental co-ordination and increasing mobility and body suppleness. Horse riding strengthens muscles and improves your posture, fitness and self-confidence. It also teaches an awareness of the needs of animals and their positive relationship with people. 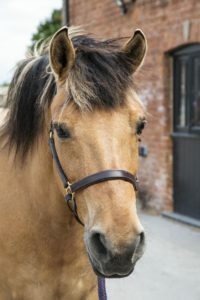 ½ hour child lesson (£17.00) – introduces the child to horse riding and teaches them the basic skills, giving them the confidence needed to progress further. 1 hour child lesson (£27.00) – builds on the basic skills which they have learnt and teaches all aspects of riding. 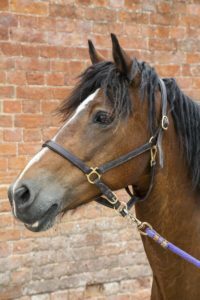 They can join the Pony Club as we are a branch centre (see the Pony Club page) to increase their knowledge of horses and their care. You can also have additional group jumping lessons with Olivia. 1 hour lessons for adults (£29.00) – for those who want to return to riding or are absolute beginners. You will be taught the basics and progress onto the discipline of your choice or you can ride just for fun! 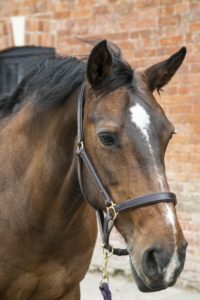 Private lessons (£39.00) – to improve on any aspect of your riding or to learn a new discipline (jumping or dressage). We offer private tuition that really aims to focus you and just you. Hacking (£25.00) – for all abilities. We have 260 acres of farm land and ride along the banks of the estuaries of the River Brue and Parrott. What sorts of lesson structures do we offer? For all of our clients, we offer lessons on a private or group basis. Lessons are tailored to meet all abilities and needs with assessments being given to make sure we understand your level and aspirations. Group lessons are small and we try to match riders of similar abilities as this helps to keep the lessons positive and moving forward. What sort of discipline do you want to try? For many of our riders they are happy just being on a horse, but for others they want to jump, do dressage or cross country. We can offer a mix of the disciplines and often integrate some jumping into our lessons if the riders want to do that. Alternatively, we offer specific lessons aimed at jumping or dressage that takes you beyond our normal lesson plans. 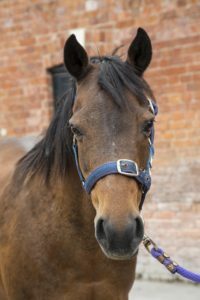 It is easy to book a riding lesson at Alstone Court? We can take bookings via phone or email but cancellations must be confirmed over the phone with 24 hours notice being given.